Explore roads less travelled on this small group escorted tour of New Zealand and discover country hospitality and nature in the wild. Discovering the “Buried Village of Te Wairoa” near Rotorua. Exploring the historical art deco city of Napier. Sampling regional wines and produce in the world famous Marlborough region. Hiking part of the Abel Tasman Coastal Track, a Great Walk of New Zealand. Cruising along the dramatic fjords of Milford Sound. In the North Island discover authentic Maori culture around Rotorua, spectacular natural wonders such as the active geysers in Wai-O-Tapu and experience New Zealand’s 'City of Sails', Auckland and capital, Wellington. 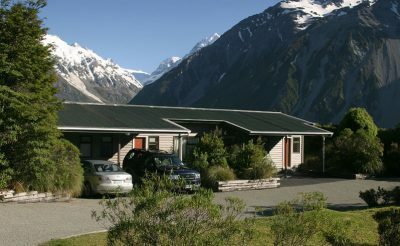 On the South Island tour the Mount Cook region and visit famous Milford Sound by land, sea and air. Meet the locals to learn about Maori history and admire the dramatic scenery of the South Island's wild west coast. 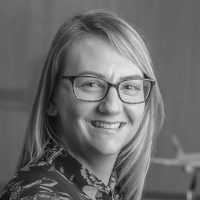 Airfares start from around £825 per person and are quoted separately to the holiday price. When enquiring, our Travel Specialists will provide the best fare possible from your preferred airline / airport. Note: Tours from October 2019 onwards will not include the first night in Auckland or the last night in Christchurch. Instead your itinerary will start on day 2 and the total tour duration will be 16 nights / 17 days. Your tour starts from Auckland, New Zealand’s "City of Sails" where one of the friendly MoaTrek team will meet you at the airport and will drop you off at your hotel. There’s no better way to get your bearings than to take in the stunning view from the Sky Tower, or to visit nearby Auckland Museum. From Auckland your tour continues to Rotorua, via the lush pastures of the Waikato and fruit basket of the Bay of Plenty. 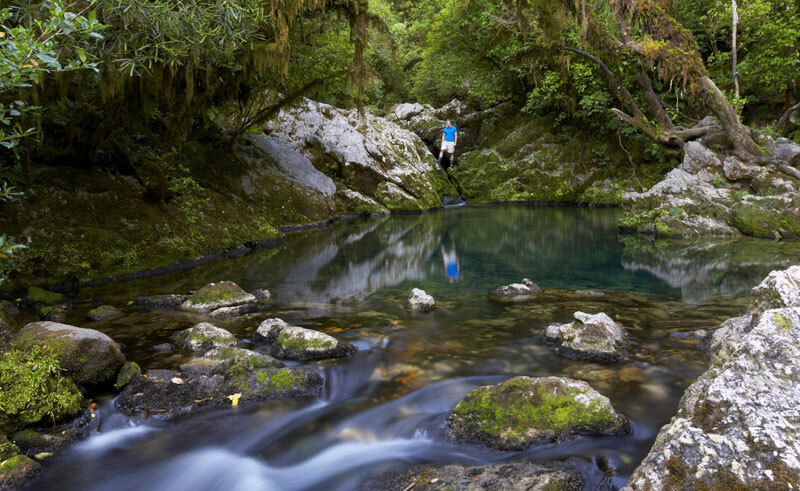 Your first stop is the dramatic Karangahake Gorge for a stroll alongside the Ohinemuri River through native bush to the relics and ruins of this region's gold-mining past. Pass through Te Puke, the Kiwifruit capital of the world, where you’ll visit a working Kiwifruit orchard before continuing on to the geothermal wonderland of Rotorua. Along the way, at Okawa Bay, board "Tiua", a 53ft catamaran for a relaxing sail on serene Lake Rotoiti to secluded coves and natural hot pools reached only by boat - a memorable end to an awesome day. You have the morning at leisure today. Perhaps stroll down to the lakeside, just minutes from your hotel, or enjoy one of Rotorua's many guided tours and attractions. Don’t miss nearby Ohinemutu marae, one of only two living Maori villages left in New Zealand. Head to the famous 'Buried Village of Te Wairoa' for a hosted lunch with MoaTrek friends David and Karen, who will regale you with stories about their Maori and European heritage. After lunch take a walk around the village itself before learning all about New Zealand’s national icon (the Kiwi bird) and the amazing efforts that go into ensuring their survival. This morning visit the surreal, geothermal reserve of Wai-O-Tapu where the bubbling mud pools and incredibly colourful silica terraces are unforgettable. From Rotorua continue to ‘Great Lake’ Taupo, for a stop at the famous Huka Falls. 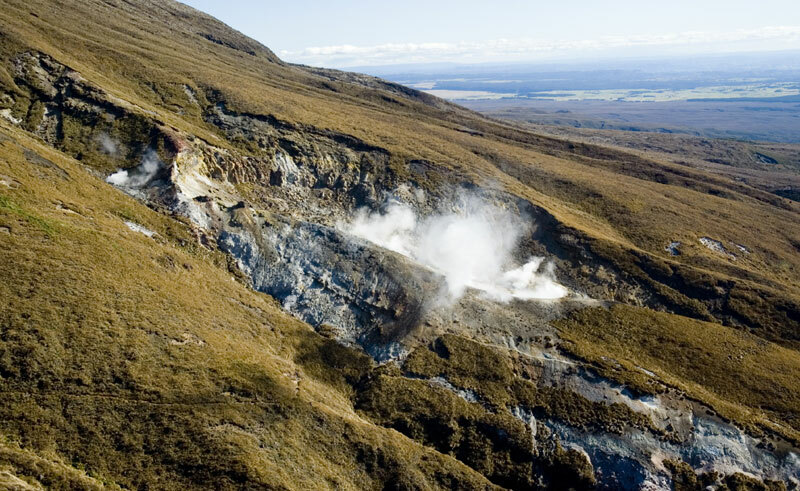 Enjoy the magnificent views of the three volcanoes - Tongariro, Ngauruhoe and Ruapehu. Continue to Tongariro National Park. Your accommodation tonight is ‘Chateau Tongariro’ at the foot of Mt Ruapehu, the perfect spot to stretch your legs on a short walk before dinner. 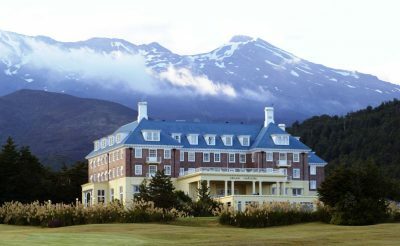 Our day starts in style, with breakfast at the historic Chateau Tongariro nestled at the base of the mountains. This is the heart of New Zealand’s North Island; from this volcanic plateau we make our way across the high country and down to our capital Wellington. We stay two nights in Wellington as we reckon you can’t miss "the coolest little capital in the world". We’ll check out the city's sights and head up Mt Victoria for the stunning views over the harbour before getting settled for the night. 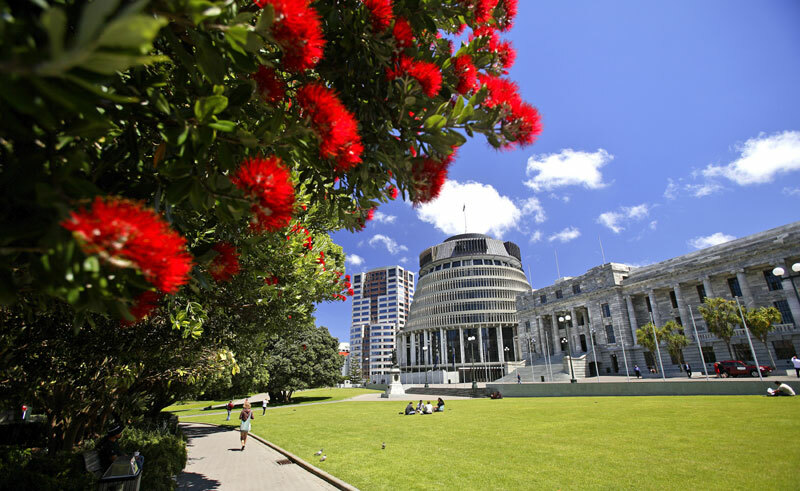 We’re right in the heart of Wellington's vibrant hub of museums, theatres, galleries, boutiques and cafes. Looking for some local flavour? Ask for one of Wellington’s trendy craft beers with your dinner (our pick – Tuatara). 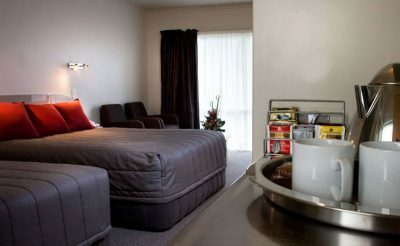 The day is yours to enjoy, you are at the heart of all the action at The Bolton Hotel, a short walk to the waterfront, Te Papa National Museum and all the eateries and boutique breweries that Wellington is famous for. Wellington is also the spiritual home of "The Lord of Rings" where you can visit Weta Workshop and see how all the props are made or drop into the Embassy theatre which hosted the world premier back in 2003. This morning cruise on the Interislander ferry for three hours across Cook Strait and into beautiful Queen Charlotte Sound to Picton. Stop at Forrest vineyard for wine tasting and lunch, right in the heart of the world famous Marlborough sauvignon blanc region. From wine country head through the heart of Marlborough toward Nelson, the sunshine capital of New Zealand and gateway to the Abel Tasman National Park. Along the way cross the Pelorus River bridge, scene of the Barrel Run scene from the Hobbit movies. In Nelson relax and unpack, this is home for 2 nights. Today is a highlight of the tour for many people – take your pick from a full scenic cruise or a cruise / walk combo to hike a section of the Abel Tasman Coastal Track, one of New Zealand’s Great Walks. The coast is dotted with islands just offshore, sheltered bays, estuaries and golden sand beaches. Lie on the beach, or go for a swim, keeping your eye out for dolphins who often make an appearance. The park is sheltered from ocean swells and enjoys fantastic weather all year round. After your magical day out return to Nelson for another night. Heading towards Kaikoura the road hugs the rugged coastline between the Pacific Ocean and the Kaikoura Ranges and the views are truly spectacular. 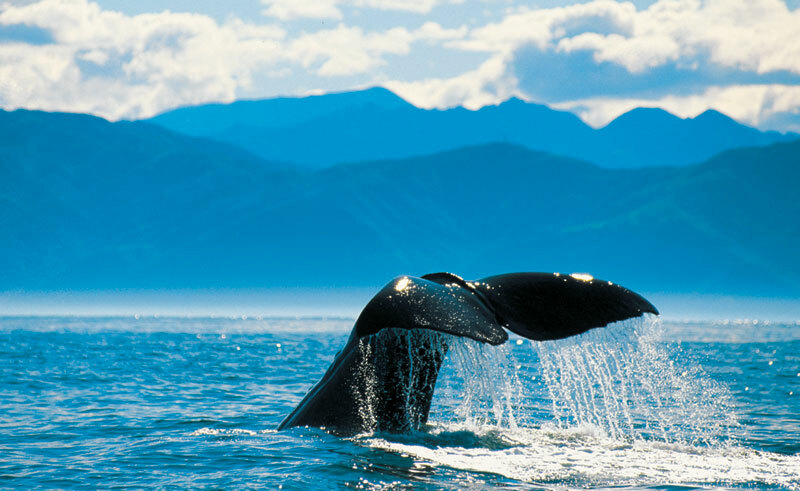 Your afternoon is free to explore Kaikoura’s bountiful marine wildlife - a result of the ocean canyon close offshore. One of the many highlights is viewing the seal colony with a backdrop of the Kaikoura mountains and coastline. There are many optional excursions including whale watching cruises and flights. For those keen on an easy walk the Kaikoura Peninsula Walkway offers a chance to explore the headland and enjoy the Pacific Ocean views with some interesting Maori history along the way. Leaving the coast we drive over the Hunderlee Hills to the Canterbury Plains. We stop for a special lunch at Akaunui, a 100-year-old homestead surrounded by large gardens and dine on wonderful fresh produce prepared by your warm hosts Di and Ian Mackenzie. Get a great insight into life on a working sheep and dairy farm. After lunch we continue through Burke's Pass to the spectacular Mackenzie Country for sweeping vistas of tussock lands and the Southern Alps. We’ll make plenty of stops en route, we can’t miss the Church of the Good Shepherd at Lake Tekapo and the unreal turquoise blue of glacier fed Lake Pukaki. Always a memorable time on tour, your day in Mount Cook, New Zealand’s highest mountain and ‘home ground’ of the most famous Kiwi of all, Sir Edmund Hillary. Take your pick from exploring the dramatic landscape on one of the many easy walking tracks around the village, or make it an experience you’ll never forget with a boat cruise on the glacial lake, a scenic flight or a heli hike high up on the Tasman Glacier! After lunch head south, over the Lindis Pass and through the rugged scenery of the Kawarau Gorge onto Queenstown – the adventure capital of New Zealand. Head up the Gondola to Bob’s Peak for breathtaking views of stunning Lake Wakatipu. Tonight take your pick from the best of Queenstown's restaurants and bars, all an easy walk from your accommodation. Today is all about the one and only Milford Sound, from Queenstown you will follow the shores of the great Southern Lakes before heading into the heart of Fiordland National Park on the spectacular Milford Road. On arrival into Milford head out onto the water on our cruise out onto the sound, dominated by iconic Mitre Peak and home to birdlife, seal colonies and pods of dolphins. A magical flight over the Southern Alps returns you to Queenstown at the end of a fantastic day of touring by land, sea and air. Today is yours to make the most of the infinite choice of day tours and activities Queenstown has to offer. Your ‘Kiwi Guide’ will be right there to help. These days, the ‘Adventure Capital of the World’, caters for a lot more than just adrenalin junkies. Options include a jet boat ride on the remote and beautiful Dart River featured in The Lord of the Rings scenery; walking along the lakeshore; strolling through the Botanic Gardens; or you may like totake a thrilling raft ride on the Kawarau River. 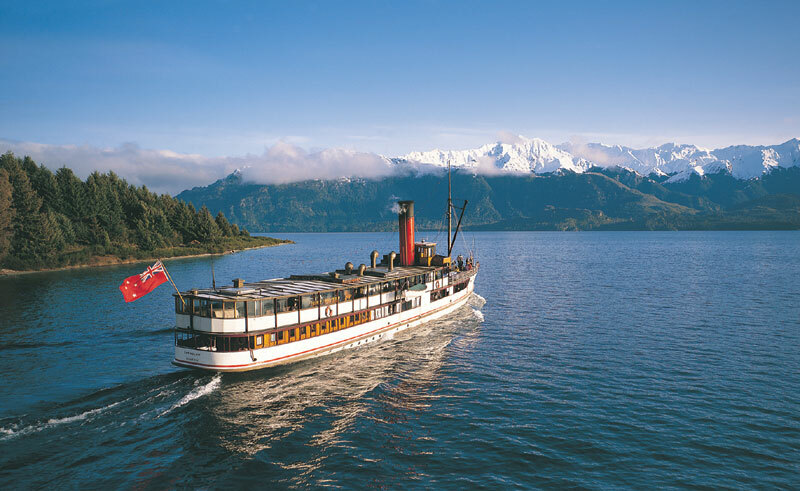 Other favourites are wine tasting in the celebrated boutique vineyards of Central Otago, golf on one of New Zealand’s best courses, a day walk on the famous Routeburn Track or cruising Lake Wakatipu on the 1912 Steamship, the TSS Earnslaw. Your day starts with a short hop to leafy Arrowtown, where gold mining history comes alive beside the Arrow River and in the excellent museum. Then you will head into tussock country for the climb up the Crown Range and your last views of the beautiful Wakatipu basin. 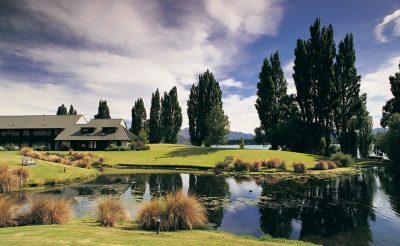 Call into picture-perfect Cardrona Hotel, its history dates back to the colonial era, then continue on to Wanaka. Relax with fine local wines and the chance to meet locals over lunch at their Wanaka lakeside home. Your hotel this evening is right on the lake's edge. You’ve got plenty of time after lunch to discover this lovely lakeside town for yourself. Bike the waterfront trail, get out on the lake in a kayak or head next door to Rippon Vineyard for wine tasting with a view! Once you hit the coast you'll head north through the lush, prehistoric Gondwanaland forest of the Southwest New Zealand World Heritage Area, stopping at Ship Creek to stroll the beach, keep your eye out for dolphins feeding in the shallows! More stops along the way as you hit glacier country, get your cameras ready for Lake Matheson’s famous reflections and the first glimpse of Fox Glacier descending from Mount Cook. Home for the night is Franz Josef. Your morning is free to discover Glacier Country, right in the heart of the West Coast wilderness and walk up Franz Josef Glacier Valley, to the glacier lookout. You may also like to visit the West Coast gem of Okarito Lagoon, the home of the rare Kotoku or White Heron. You’ve got a couple of options to discover the lagoon, your choice of kayaking or a nature cruise with a specialist local guide. This afternoon you'll discover more of the coast as the trip heads north through countryside dotted with little lakes and boulder strewn rivers and remote coastline all under the watchful eye of the mighty Southern Alps in the distance. Coffee time in Hokitika, once a real centre of commerce and the setting for the colonial epic ’The Luminaries’. Hokitika people are crafty folk and of course, it’s the Pounamu (greenstone) capital of the country and you’ll have the chance to visit the carvers as well as glass blowing, wood and copper artisans. You'll arrive for two nights in Punakaiki, right on the beach in the perfect spot to enjoy your last few sunsets in New Zealand! This is another new edition to the trip, a two night stay right on the beach at Punakaiki to end the tour in style. The surrounding Paparoa National Park is very different to any other area you've been, towering limestone cliffs and karst rock formations with beautiful river valleys draped in sub tropical looking forest. You’ll have plenty of time to discover the Pancake Rocks and you can even hike a section of what is soon to be our newest “Great Walk”, the Pike 29 Memorial Track. There are also some great optional activities here, a favourite is the Glowworm Caves at Charleston, but you’ve also got horse riding or kayaking too if that’s your thing. Your ‘Kiwi Guide’ will let you know the perfect time to visit to see the blowholes at full force. Home tonight is a stunning spot right on the beach, perfect with a drink on the beach to celebrate your last sunset together! Wake up to the sounds of the waves crashing on the beach, cross New Zealand’s main divide, traverse the stunning Canterbury High Country and cross the plains into the ‘Garden City’ of Christchurch. To do this in most countries would take days or weeks, in New Zealand it’s easy, there's even plenty of time on the way for short walks and photo stops. Nice one, New Zealand! Highlights will be the Otira Viaduct, a spectacular cantilevered road through towering mountains to Arthur’s Pass National Park, with dramatic views from the lookout at the top of the Gorge and one of the best places in the country to see the hilarious antics of the alpine parrot, the Kea. 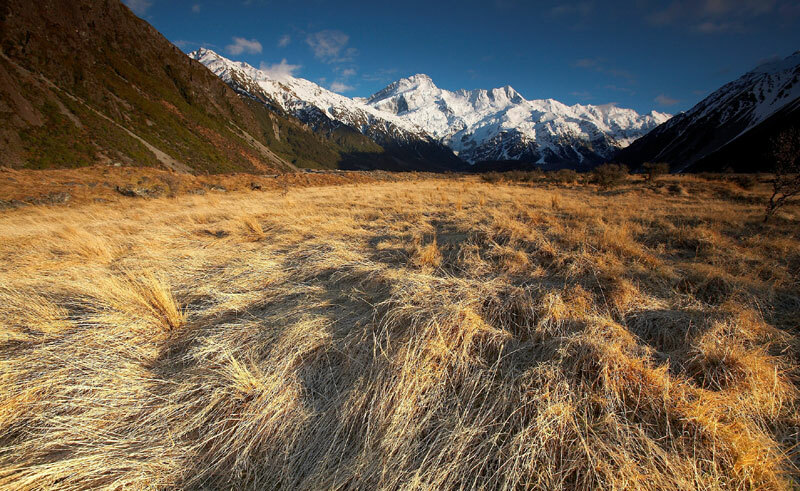 Stretch your legs in the beech forests at Arthur’s Pass National Park and again at the massive limestone rocks rising out of bare pasture at Castle Hill before descending to Porter’s Pass to the Canterbury Plains reaching Christchurch in the late afternoon. Enjoy a leisurely breakfast on the last day of your tour in Christchurch, you'll be dropoed off at the airport for your flight home after your New Zealand ’Trip of a Lifetime'. You'll be right on the edge of Hagley Park, so take the time for one last walk through the botanical gardens, a scenic tram ride through the streets or even a punt on the treelined Avon River. It's said Christchurch is the most English city outside England, and it’s easy to see why. Catch up on last minute shopping for New Zealand favourites such as merino clothing or manuka honey, it’s all right here. Ka kite ano – “See you again”. A variety of accommodation options are included in this holiday. Please contact us for further details. 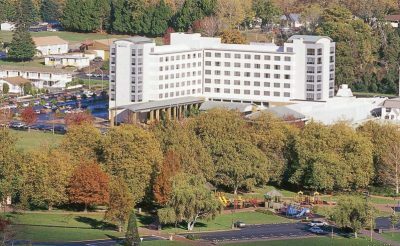 Located only 5 minutes from Rotorua's town centre, this lakeside hotel has 199 rooms near one of New Zealand's top tourist destinations. A 22-room waterfront hotel, this motor inn is found in the very centre of Kaikoura, where stunning sea-views greet guests on their way out to explore the areas marine wonders. With a lakefront location that offers lake and mountain views, this resort hotel in Wanaka has 104 rooms in one of the country's most notoriously beautiful areas. 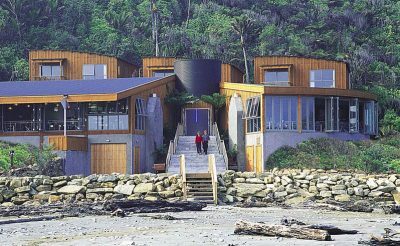 A stunning eco-tourism hotel with spectacular views of wild West Coast beaches, the Punakaiki Resort offers 26 hotel rooms alongside 37 self-contained suites.